The apex court said that the ban on sale of liquor did not extend to municipal areas and that licensed establishments along highways which fell within municipal areas could continue to operate. NEW DELHI: Putting to rest all confusion regarding exemption from December 2016 ban on sale of liquor along the highways, the Supreme Court on Monday clarified that its July 11 order granting such exemption to liquor outlets, bars and restaurants operating in municipal areas was applicable to the entire country. The court had in its July order said that its ban on sale of liquor within a distance of 500 metres along national and state highways did not extend to municipal areas and that licensed establishments along highways which fell within municipal areas could continue to operate. 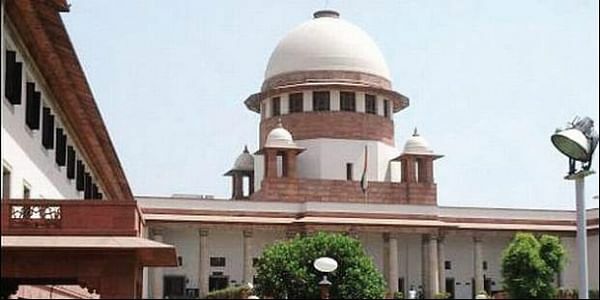 The clarification was made by a Bench headed by Chief Justice of India Dipak Misra after senior advocate Mukul Rohatgi, appearing for the Tamil Nadu government, pointed out that there was some confusion about the scope of exemption since the July order had come on a petition filed by a Chandigarh-based NGO. A Madras High Court Division Bench headed by Chief Justice Indira Banerjee¸ while hearing a PIL, had asked the Tamil Nadu government to approach the apex court and seek clarity on whether or not it was entitled to open state-run liquor shops on highways passing through city and town limits without declassifying them. “The high court says ‘municipal areas’ in the apex court order means only areas in Punjab and not in Chennai. The Chief Justice Bench of the High Court wants a clarification whether the exemption applies only to Chandigarh,” Rohatgi told the SC. The CJI-led Bench then clarified that the exemption was for all municipal areas across the country. “Why should the High Court think that? If our order applies for municipal areas in Chandigarh, it will apply equally for municipal areas across the country,” the CJI observed.